Saturday – 4:30-6:30pm Chill time…. We have a hundred reasons why we shouldn’t go to the women’s retreat. Some years the voices win out, and we stay home. Later, when we hear the glowing reports from others about how wonderful it was, we feel a pang of regret, but it doesn’t last long. “Oh well,” we say, “maybe next year.” Other times we make the extra effort, and we’re the ones sharing happy stories and telling how glad we are that we attended. There is something very special about the experience of being on retreat with a group of women. For the past six years, I have been both leading and going on a variety of retreats. The ones solely for women have always been the most moving and fruitful. When I look back on my experiences, there are six benefits that immediately come to mind. Women intuitively understand each other. We share so many similar experiences that we naturally empathize with one another. No explanation is necessary. When on retreat together, this bond becomes so clear and its richness so healing. We come as strangers and leave as sisters. Women are the primary nurturers of the world. Our ultimate challenge is to direct all that loving, compassionate qualities upon ourselves. Going on a retreat is a declaration that self care is no longer perceived as selfish but is instead a necessity. Our well being is a pre-requisite for the well being of all those around us. The word ‘alone’ comes from the Greek “All One.” To know your true self, you must spend quality time with yourself.This requires stepping away from familiar relationships and environments. 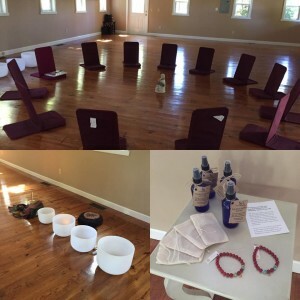 Going on retreat creates the space to reconnect with your core being. To me this is the ongoing process of life and the very essence of a retreat. To heal one’s self from the inside out is a spiritual journey. A group of women retreating together create a safe harbor to rest, replenish, and renew their commitment to this path. A woman needs to step away from the outer cacophony of voices, to hear her own innate wisdom. She needs the time and space to know the sound of her own voice, to speak it, and then choose to honor it. Taking the time while on retreat to sit quietly in nature is a wonderful way to listen to your heart. We all perceive the world differently. By retreating to a beautiful location and feasting on the senses, we can rediscover our unique way of interacting with the universe. A retreat is about nurturing all the senses and allowing the sixth sense of intuition to gain strength in this fertile environment.